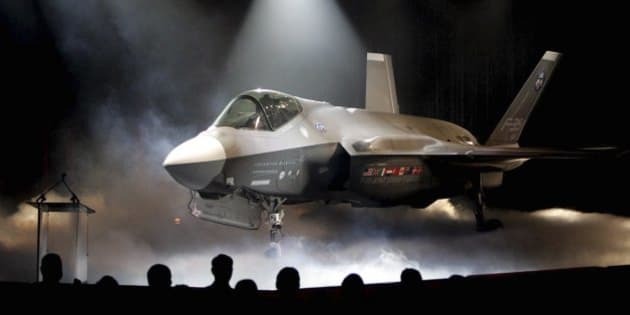 MONTREAL - Canada's aerospace industry could lose about $10.5 billion worth of contracts over several decades if the federal government ultimately decides not to purchase the controversial F-35 Stealth Fighter, says a senior executive at Lockheed Martin. "If in fact the Canadian government were to decide not to select the F-35 we will certainly honour the contracts that we have here with the Canadian industry but our approach in the future would be to try to do business with the industries that are in the countries that are buying the airplane," he said in an interview after officially opening its new engine overhaul facility in Montreal. Carvalho said Lockheed continues to reduce the F-35's cost. He said each plane will cost Canada around $75 million in today's dollars, or about $85 million including inflation once they are expected to be delivered to Canada in 2018. He said the contractor has removed 50 per cent of costs from when it started production and is looking at how to remove another 50 per cent as it gets into full production, making it "an affordable airplane" to the U.S. government. "As we continue to gain the efficiency on the production line, the learning, as we continue to build more and more airplanes, as the production ramps up, the cost of this airplane will only come down." Carvalho added that the plane's features, including stealth technology and surveillance capabilities, make it the right choice for Canada. The head of rival defence contractor Boeing said last week that he's confident that his company's F-18 Super Hornet could fill Canada's military needs at a lower cost. James McNerney said it was only a matter of time before the Canadian government reopens the contract to new bidding and that the next generation of aircraft in use by Canada since the 1980s will be able to compete.